In 2008, something happened to Leo Morales that most of us can’t even imagine – his leg was amputated to stop aggressive cancer. But what would be lifelong setback for some didn’t deter him. Already a passionate diver, Morales not only went back to diving, he became an instructor and a tec diver. Then he set two records (depth and distance) for divers with disabilities. Then he . . . well, he grew into an impressive and accomplished person by any standard: a PADI AmbassaDiver, Tedx presenter, author and inspiring mentor for hundreds – maybe thousands of people. Amazingly, Morales says that if he could change the past and keep his leg, that he would not. “Scuba diving gave me my life back,” he says. He actually took his life back using scuba, leveraging it to do more and now gives back more than many would expect. Amazing. Take a moment to think about what makes you productive. That is, what enables you to do things that benefit others – whether material, informational, spiritual or all three. Without productivity, success in anything can’t happen: it is, in effect, how we define success (and notice it’s not necessarily money or wealth). Some will tell you that productivity results from organization, luck and talent, but we’ve all seen disorganized, unlucky, ungifted people who produce and succeed extraordinarily. And sadly, sometimes we see the opposite. What’s the key element? I think the musician Judy Collins put her finger on it. “Do what you love,” she said, “and you will find the way to get it out to the world.” That is, a passion for what you do is the one and only critical ingredient to high productivity. Zero in on what’s really important and productivity skyrockets, not because we do more things but because we do the right things. We stop wasting time on irrelevant (though often urgent) distractions that take us off task because we know where we’re going. And, we work harder because we want to. Simon Sinek, author of Start with Why, wrote, “Working hard for something we do not care about is called stress, working hard for something we love is called passion.” Passion turns failures into learning opportunities, delays into new directions and challenges into creativity. If you are truly passionate about something, you don’t have to motivate yourself to be productive with it. You only have to find the ways. In the PADI® family, there’s no shortage of passion for diving and the underwater world, and for changing the world by sharing both. It’s why we dive and how we share diving combined. 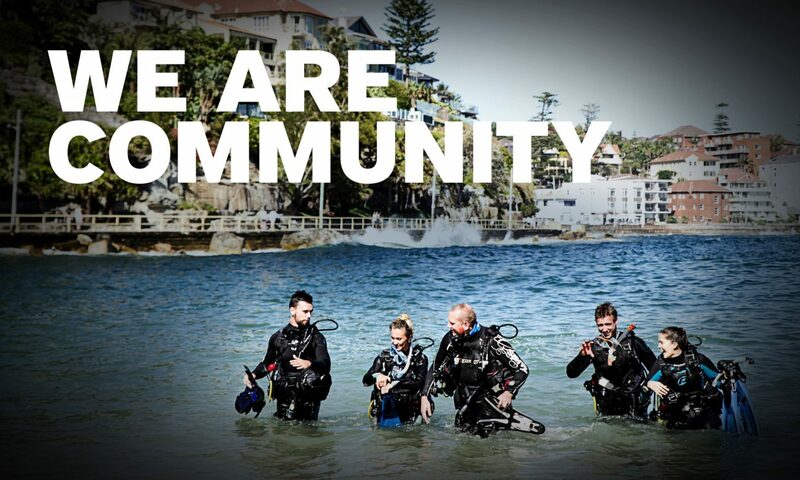 PADI’s larger purpose is changing the world for the better. Every person we bring to diving adds to the political leverage and wise consumer choices we need to protect the seas and marine animals. It adds to those healed or who are able to help heal, or both, through the power of scuba. A growing dive industry creates jobs and adds new opportunities to global and local economies. And it all happens because you and I are passionate about diving. It drives us to produce. When we can’t find a way, we make a way. The point is to nurture and preserve your love for diving, the oceans and those who share this love. It’s the key to being productive as a dive professional. It’s the heart of making the world better with diving. If teaching becomes more about getting students through mask clearing than that gleam in their eyes when they breathe underwater for the first time (believe me, I’ve been there), step back and reconnect. Make that cool dive (trip!) you’ve been putting off. Spend an hour with a buddy listening to whales sing, watching an octopus assemble its “yard” or whatever captures your fascination. Try that new suit, CCR, regulator or computer if tech is your hot button, or chase down that person who you just know will have a burning love for diving and can’t wait to get in the water. Put first and foremost whatever makes you genuinely passionate about diving, the ocean and sharing them, and you won’t have to worry about how to be productive. You won’t be able to help it.